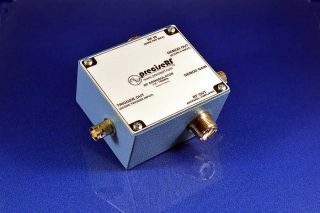 This RF Demodulator is identical to the SMT Station Monitor but without the sampler/coupler. It is recommended for those wishing to use a separate sampler. The SMD is intended for higher power (QRO) operation. 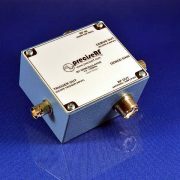 It does not include the optional detector biasing supply recommended for lower power (QRP) operations. 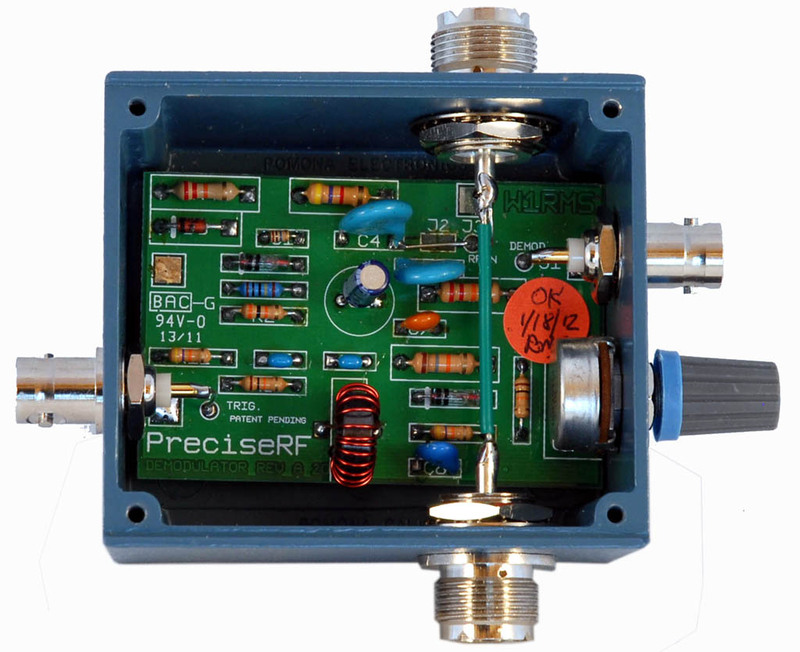 When combined with an RF sampler, the SMT allows for precise adjustment of the entire transmitter chain with transceiver output of up to 100 Watts driving linear RF amplifiers. 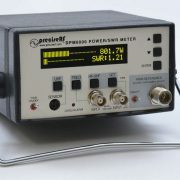 It features a high performance demodulator, a variable base band output and an oscilloscope trigger output. 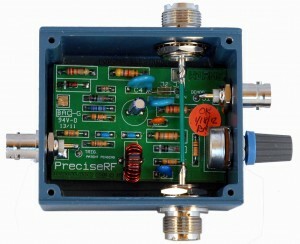 A Linear RF amplifier usually amplifies an RF signal from 20-100 Watts by 20dB or more to about 500-1,500 Watts. 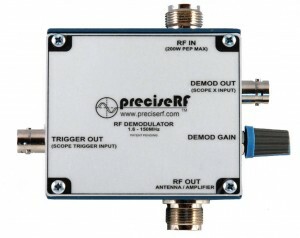 Its performance and modulation can be characterized using a spectrum analyzer (expensive) or a low cost oscilloscope using a trapezoid display. Each SMD Demodulator comes completely assembled in a premium shielded die cast aluminum alloy A380 housing. Each housing is blue baked enamel per Federal Standard 595 #25109 over primer wash per DOD-P-15328. 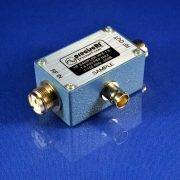 Generate a baseband signal for the oscilloscope X (horizontal) input by demodulating SSB and AM signals when testing transceiver and RF amplifiers using the trapezoid method. 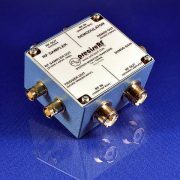 Be the first to review “SMD Demodulator” Click here to cancel reply.